Chalong Fishing Park, freshwater fishing, at 71/106, Viset Road, Soi Suksan 1, Rawai, Phuket, Thailand, features catfish, carp & many more species. We are constantly trying to improve our service. Things are good, the water is clearing and the fish are growing at an amazing rate. We are pleased to say we now have fish over 35kg’s in weight. 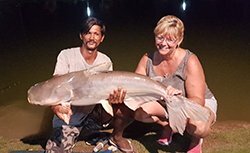 Our freshwater fishing stock include; Giant Mekong Catfish, Giant Siamese Carp, Chao Phraya Catfish, Striped Catfish, Striped Catfish, Asian Red Tail Catfish, Alligator Gar, Amazon Redtail Catfish and many more. We are constantly requesting and monitoring reviews to see what we are getting right and also what we can improve. Below are a couple of examples of reviews from Tripadvisor and Facebook. Click on the pictures below to the left for more reviews. A quiet day yesterday so not a great deal to show so I thought I should take the opportunity to offer a little advice and the first photograph kind of says it all really. I have many years experience of fishing but if I went to a new venue, particularly in another country with different fish species, the first thing I would do would be to seek advice from locals and those “in the know” as no two places fish the same. The guides and myself are here and fish every day so it goes without saying that we have the advantage over someone here for the first time. We are a venue for fun fishing and therefore we probably get more non-anglers than experienced anglers and that is why we are here to help. It is of course up to the individual but if you take our advice you will catch more fish. We have had several customers recently who have ignored what we have told them and then asked why they are not catching as much as the guy opposite. The answer is simple, they have not listened to our advice and one example of this is when we fish for the predators more often than not we fish close to the water hyacinth beds just a meter or two out, we advise the customers of this but they seem hell-bent on casting as far as they can even though they have witnessed us and other customers catching fish close in. We appreciate that often there is a language barrier but vision is not affected by this. FISH DO NOT FEED CONSTANTLY with many many factors affecting their behaviour and that is why we try to advise that a 3 hour package can be more challenging particularly at the hottest times of the day. If a customer catches say 20 fish in a ten hour session which is common, that does not necessarily mean that 6 fish will be caught in a 3 hour session. Fishing over a longer period with accurate casting and feeding will draw the fish to one spot (swim) and therefore result in more bites while inaccurate casting with little or no feeding is a lottery. We want our customers to catch fish and have an enjoyable day. It is what our business is all about. Myself, the staff and the guides, as their title suggests, are here to “guide”. To enable us to do this the customers need to listen and take advice from the guides. They know the water & the fish. Accurate casting & patience are the key factors in any fishing. Constantly winding a newly baited rig just means that the fish have not had time to get to the bait. Holding the rod in your hand will move the bait and spook the fish. Over tightening the clutch on the reel will result in fish being lost. Casting into other peoples areas because you have seen them just catch a fish will upset everyone. They caught because they listened! This is not directed at anyone in particular nor is it a rant but please help us to help you. 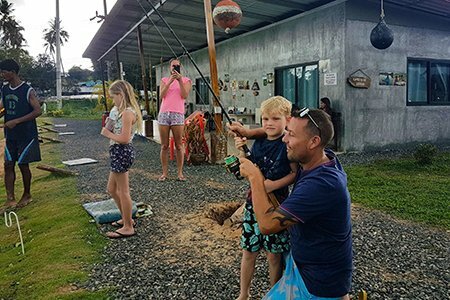 Chalong Fishing Park is a family run business and we like to treat our guest as family visitors rather than just clients. To help us make your visit as enjoyable as possible and welcome you as a visitor to our family please let us know when to expect you. Either send us a message on Facebook, telephone us or even send an email so we know when you will arrive and how you will be getting to the Park. We look forward to your visit & meeting you. B arbecue and a little night fishing. On Wednesdays we will stay open until 10pm. We also supply a free Barbecue for those fishing. P LEASE NOTE – we have to limit numbers for the night fishing and priority will be given to customers who have joined us for the day. Recently come back from a two week holiday in Karon Beach, Phuket. Looked for some freshwater lake fishing and was advised to give this one a go. Arrived 8.00 am in the morning to fish for a few hours, met up with Matt from London (great guy, thank you for your company), had a great day, food, Wednesday BBQ, a few beers and ended up leaving at 10.00 pm !!!! The set up is great, as a salmon fisherman back home on Wales, this fishing is all new to me, the guides are great and sort you out with everything, tackle, baiting up etc. great fishing too, caught a variety of sizeable fish which are growing !! The owner, Jez, has really thought about the layout of the site with families in mind with the swimming pool and food facilities in a really friendly manner. My name is Shorty, I’m from Jindabyne Australia. I just got home from a trip to Phuket Thailand and the highlight of the trip was a fly fishing session at Chalong fishing park. Jez the owner/ operator was an absolute champion, he couldn’t have been more helpful and generous. Not only with his time rigging up the younger lads rods, but also generous with his ample knowledge of the specific species and just fishing in general. He informed me that I was the first to catch a Redfin on fly which I was pretty stoked with. So big thanks to Jez and all the crew @ Chalong fishing park, I’ll recommend a days fishing there to all the crew back home and to anyone wanting a great day on holidays. I was fishing for 6 hrs and was kept busy. I caught 5 Amazon Redtails ad 1 Tiger Redtail, fish are in good condition and the lake is nice too. Definitely worth spending some time here. I recommend either start early or fish later in the day. The guides are great and hard working, they will do more or less depending on what you want them to do. 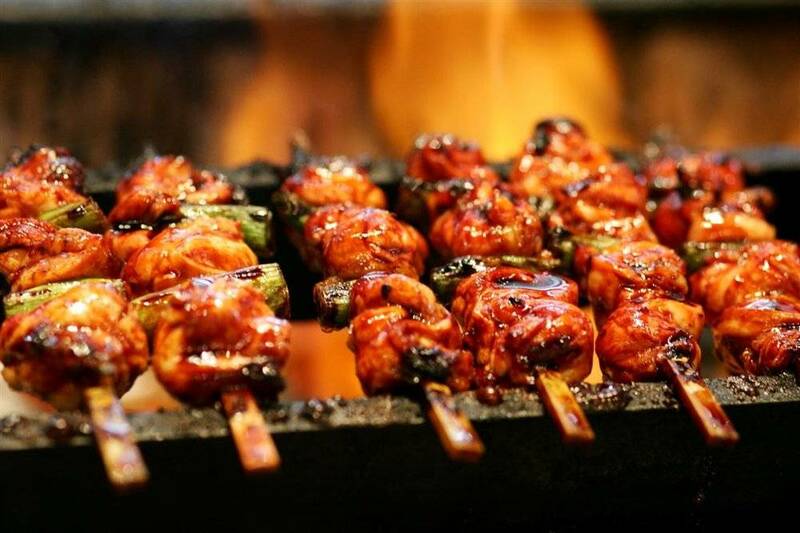 The food is nice which can be delivered to your swim for uninterrupted fishing.